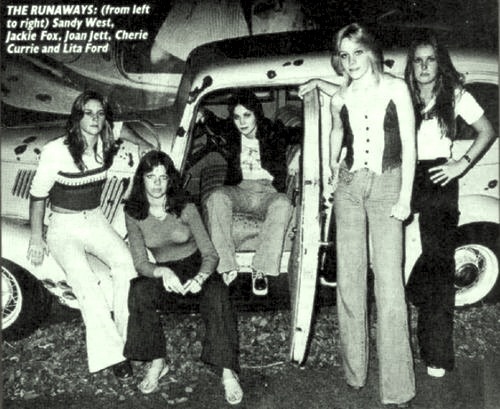 The Runaways <3. . Wallpaper and background images in the द रनअवेस club tagged: the runaways lita ford sandy west jackie fox cherie currie joan jett. This द रनअवेस photo contains सड़क, शहर के दृश्य, शहरी सेटिंग, शहर दृश्य, and शहरी की स्थापना. There might also be ऑटोमोबाइल, कार, ऑटो, एसयूवी, ट्रक, राह-चलता, कैरिजवे, and carriageway.